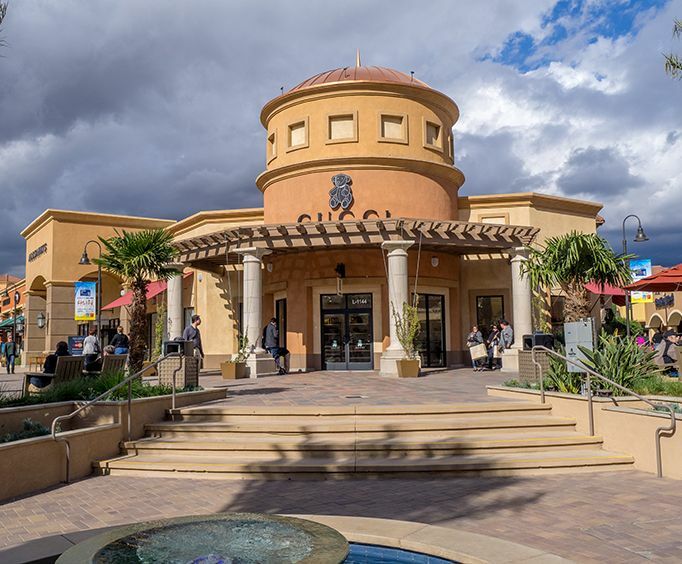 If you want your vacation to include shopping, you can book the Shop and Play tour at Cabazon Outlets to give you great deals that will make your shopping experience even more enjoyable. This is a great way to get souvenirs for friends and loved ones while you find stylish clothing and accessories to enhance your wardrobe. The tour includes a VIP Savings Cards, a tote bag, a water bottle lanyard and other perks. 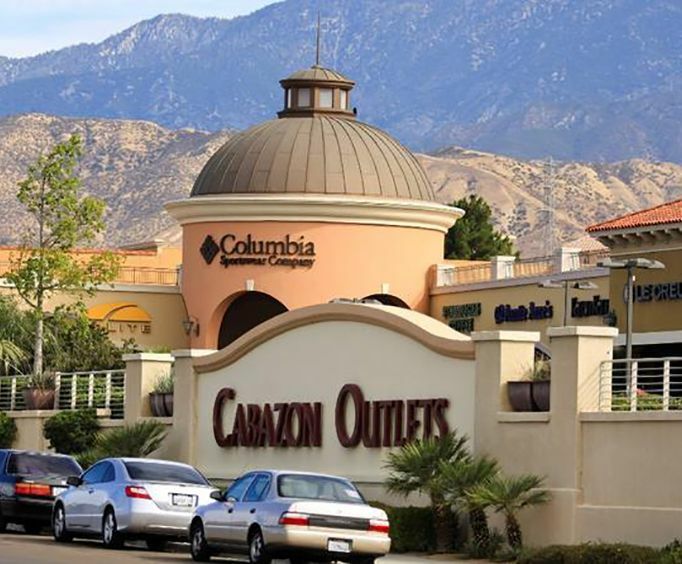 You'll be traveling to Cabazon Outlets to find name brands like Columbia, Puma, Adidas, and Le Creuset. There are also two dining options available at the outlets; you can visit Starbucks for coffee and a meal or snack or try a variety of different pretzels at Auntie Annie's, where a free pretzel is included in the tour. The outlets are open Monday through Saturday from 10am to 9pm and on Sunday from 10am to 8pm, so you'll have plenty of time to visit all the stores and find the deals you want. Pickup and return service is available at Cabazon Outlets and the times for departure are Monday through Saturday from 10am to 9pm or Sunday from 10am to 8pm. You'll receive a confirmation once you book your tour, and you can give this ticket to your driver at the start of this activity. Gratuity is not include in the tour, but it optional. Meals are also not included in the price of the tour. 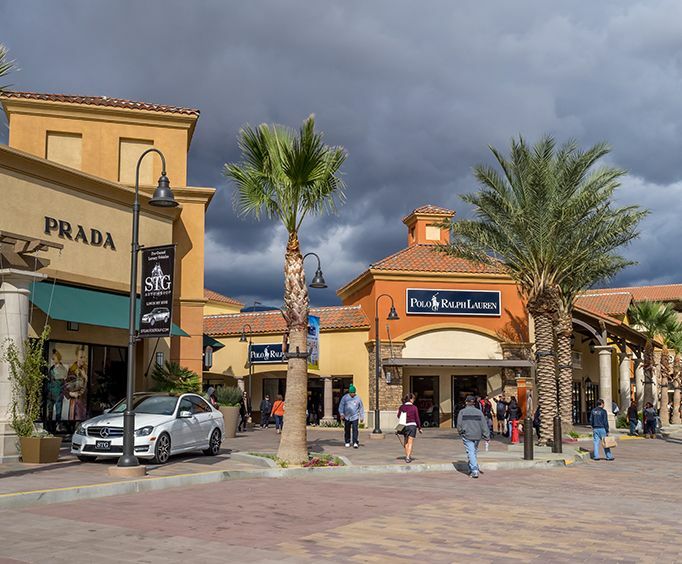 Come shop til you drop at Cabazon Outlets with your 'Shop and Play' tour package that offers incredible deals and gives you an excellent shopping experience. Your shopping package will include lots of fun goodies like a VIP Savings Cards, a water bottle lanyard, a tote bag, and much more! Come visit Cabazon Outlets to find all of the name brands you love like Adidas, Puma, Under Armour, Columbia, and Le Creuset. Two dining options while your shopping are Auntie Anne's Pretzels and Starbucks. Cabazon Outlets are open Monday-Saturday 10:00am-9:00pm and Sunday from 10:00am-8:00pm.